What can art teach students about history? In the case of the painting, “Washington Crossing the Delaware,” a close analysis reveals quite a bit about America’s early days. 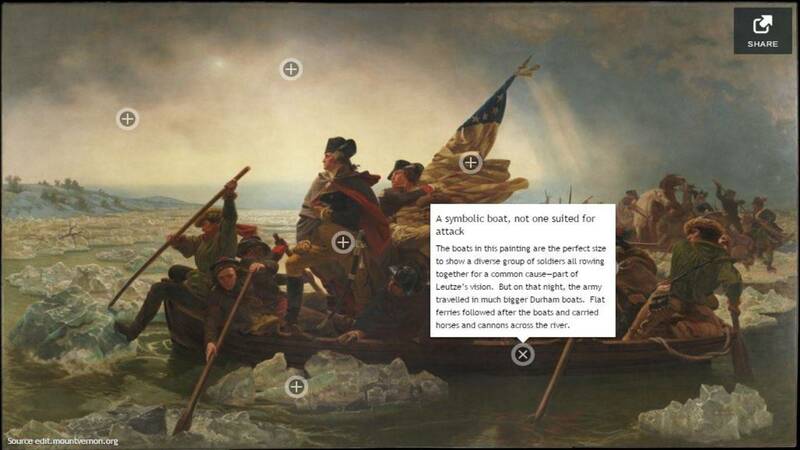 This Interactive Lesson from WGBH and Mount Vernon, the historic home of Washington, helps students improve their skills with art-based source material and deepens their understanding of the American Revolution.